Let's start off with our favourite: Input time in a digital clock format, and you'll be accurate down to the minute with as little as four characters. Technically more work than 2:30, but it's kinda zen to see the hours and minutes divided nicely like that. Minutes, min, m. Doesn't matter. If math is your strong suit and you want to reach the very minimum of typing, you can divide your minutes into decimals. 0.75 = 45 minutes, 0.5 = 30 minutes, and 0.25 = 15 minutes. Other fractions gets complicated real quick, so stick to other formats if you want to keep your sanity. This one's a beaut. 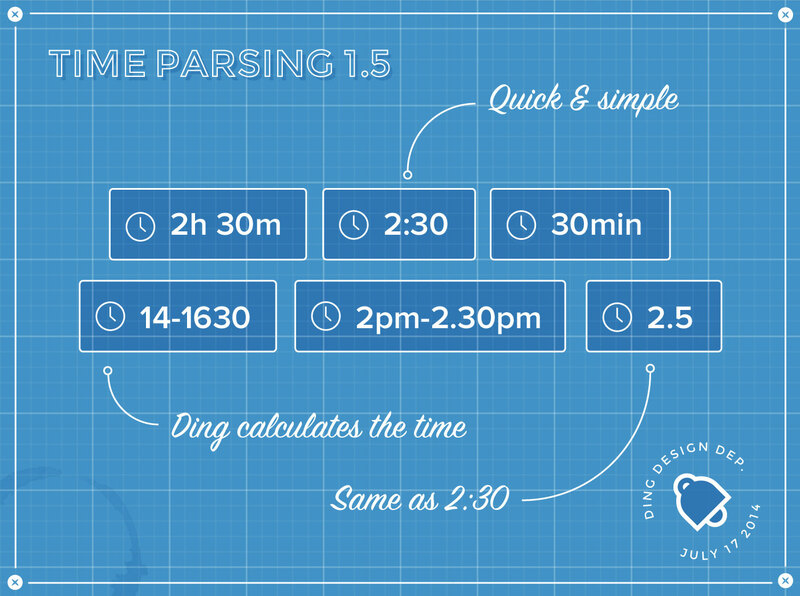 Put in the start and stop time, and Ding automatically calculates the hours you've spent. A timestamp will also appear in the comment after you've logged it. The latter works with the 12-hour system as well. 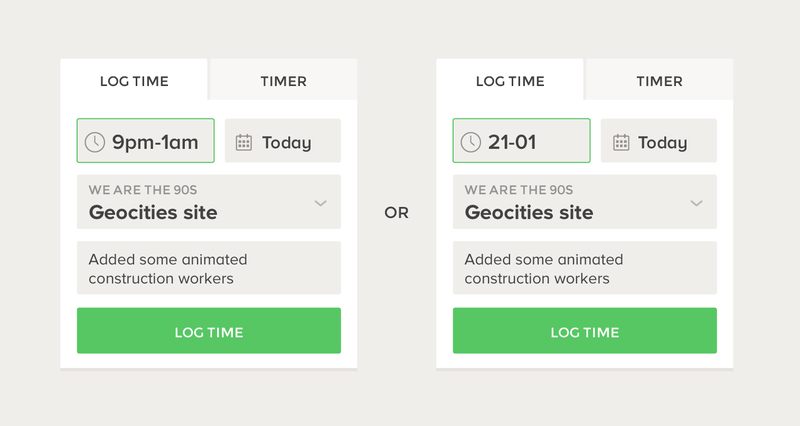 If you want your timestamps to be AM/PM, you can change it in Settings > Your Profile.